A few years ago people would wonder whether a turbaned sikh guy could be a mainstream Bollywood hero but Diljit Dosanjh has put those doubts to rest. Not only is the singer-actor having back to back releases in Bollywood but is also being cast opposite A-list heroines. After making a promising debut and an earnest performance in Udta Punjab opposite Kareena Kapoor, he was seen with Anushka Sharma in Phillauri. In his upcoming release, Welcome To New York, he will be seen with Sonakshi Sinha and then with Taapsee Pannu in Soorma, a biopic on hockey player Sandeep Singh, which will hit the theatres in June. He is currently shooting with Kriti Sanon for Arjun Patiala. Not easily accessible and also considered media-shy, Firstpost tracks him down on the sets of the singing reality show, Rising Star, where the jovial and happy go lucky jatt is the centre of attention. He is in the midst of young singers and some big names from the music industry - Shankar Mahadevan and Monali Thakur. 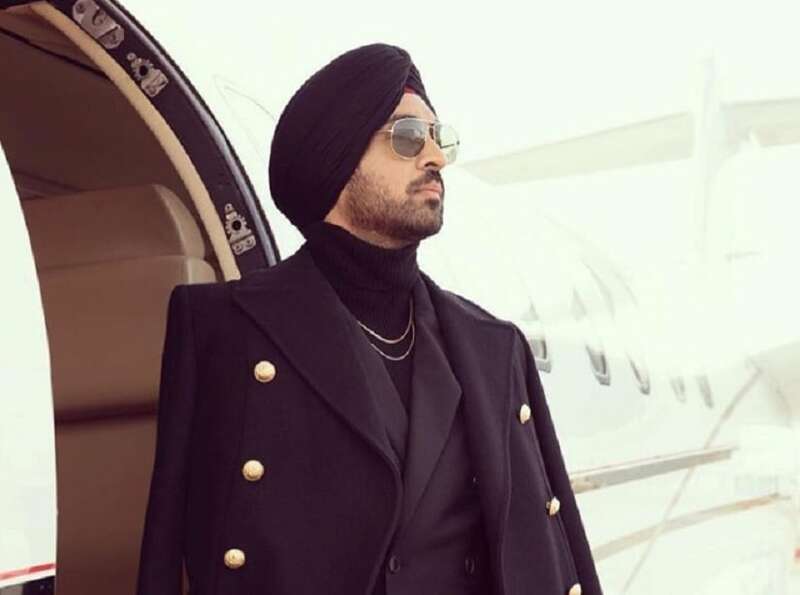 Sporting a shiny yellow jacket and black turban, Diljit seems to be enjoying every bit of it. “I am enjoying both, acting as well as singing, I just wanted to do some good work which I am doing, let’s see where my life takes me. I enjoy each day of my life. Sometimes I have my mood swings but I still try to maintain a balance,” says the singing star, who candidly talks about his upcoming stage-show reality film, Welcome To New York which is based on an award show. “There are so many actors in it, and I, too, have a small part. But if you ask me the experience of doing the film, I really didn’t understand anything. I don’t know how they shot the film in so much chaos. I have no idea. It was difficult to shoot but I kept taking orders from the director and went on doing what I was told,” he laughs. Known for his rustic charm and simplicity, Diljit might have a lot in the pipeline, but he isn't someone who would succumb to stereotypes. He wants to do roles that are integral to the story. "I won’t do as many films now. It is just that I had lesser commitments and hence I can be seen in so many films. Last year I refused three to four films. If I don’t like anything I say no to it. Even in Punjab, I did just one film a year and I will follow the same in Bollywood provided I am offered one. I am in no hurry, no greed, as I am getting more than what I am capable of. I would like to use the remaining time on my singing and churn out more Punjabi films for my fans. I also have fans in the US, UK, Canada and I would like to continue doing stage shows for them. Whatever I have to say from my heart, I do it through Punjabi music,” he says without displaying an ounce of stardom. “I enjoy making music more because there are no limitations as compared to movies. You have a team with who you gel and make music. But the film is not under your control. You listen to the story and script but what finally comes on the canvas could be different, whereas in music you can reject your own composition if you don’t like it and try something different. But films are huge projects; a lot of money is invested and directors have their own point of view,” he adds. Secondly, Diljit says, he finds more freedom in the choice of movies back home. “I am not in a position to choose roles right now in Bollywood but in Punjabi films I have that choice. Producers are friends there but in Bollywood whatever is being offered I am taking up. My upcoming Punjabi film, Rangroot is on World War I which was something I was passionate about," he says. And even as Bollywood is showering love on him, Diljit prefers to meet people only for work as he doesn’t like “bothering people unnecessarily”. “I don’t stay in touch with industry folks much. I am here only to work. I never got work because of networking or meeting producers in parties. I don’t believe in PR,” signs off the endearing star.